As a property manager you surely have a lot of things to take care about, such as making sure your property complies with all the safety standards and sanitary conditions as well as keeping in mind the financial aspects, market challenges, changes in legislation etc. Moreover, as furnishings wear out, which happens each several years, you are bound to start looking for optimal furnishing solutions in order to keep your property in good conditions and make sure your tenants stay as committed as they currently are. Higher quality furniture may eventually attract better tenants, also, tenants tend to take better care of better furniture: that`s why good furnishing solutions matter. Finding furnishing solutions which are both attractive and practical may be quite a hassle: the furniture should be easy to replace in case anything gets damaged or broken, look great in your commercial space and maintain esthetic standards your tenants are used to. It should be durable and reliable enough to last for several years, also, it should meet all the fire safety requirements. 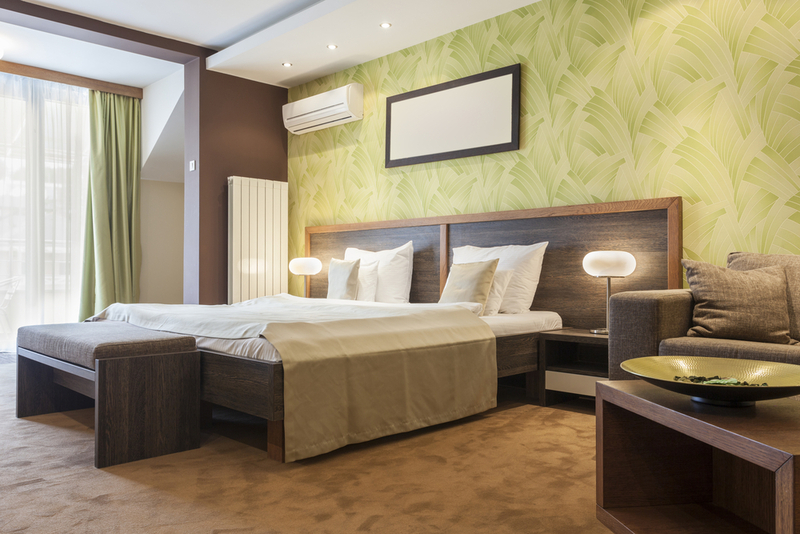 When it comes to furnishing your property there are two major risks: too much furniture and not enough. You must carefully consider what kinds of tenants it is meant for. Most families move in with their own furniture and may require only the most basic items, like sofas, table, chairs, washing machines, stoves and fridges. Students and young office workers may need more furniture, but want the interior to allow maximum space for self-expression and create a good atmosphere to study or work in. If you manage other kinds of commercial property, like convenience stores, beauty salons, offices etc., your tenants may require specific furnishings, appliances and equipment. Taking care of all the above mentioned nuances is surely a time consuming and challenging task, and trusting it to a service company could actually be a good decision. Furnishing solution providers are aware of your specific needs, offer furniture in wide ranges of colors, styles and materials best suited for rental property and do their best to make sure your commercial space looks great for as long as it is possible. They also provide complete furniture packages for landlords and property managers and offer discounts for multiple orders. Delivery and installation services are usually free. Providers of property management furnishing solutions replace damaged units with matching ones; some companies offer removing and recycling options for old used furniture. They also take care of all the safety standards, which protects you from any possible legal problems. Finding optimal property management furnishing solutions is an important investment. A good service company may save you a lot of time, effort and, eventually, revenue, and ensure that your letting business runs as smoothly as possible.